Chalkboards sound so… yesterday; however, these classroom staples have been reborn with the advent of paint that replicates the smooth, slate-like appearance of this old favorite. So what does this mean for you? If you have children (and particularly if you homeschool them), the options are limitless. From creative pursuits to educational activities, you can bank on hours of fun for little investment with a can of chalkboard paint. Following are five ideas for using chalkboard paint in and around your home. 1. Mural Space: There is no better way to stoke a child’s creativity than by providing a blank space to fill with color. Chalkboard paint is perfect for this, since it can be applied broadly and can be used again and again. Consider painting a wall in your child’s room or the playroom. If you have space outdoors, consider hanging a homemade chalkboard or creating a “graffiti wall” along a fence for your child to enjoy during the warmer months. 2. Personal Chalkboard: Personal chalkboards can be a great tool for homeschooling children. Not only can they serve as a drawing space, but they are perfect for learning to write, solving math problems, and answering questions during a pop quiz. They are easy to make, and all that you need is a smooth, clean piece of wood or other surface and a small amount of chalkboard paint. 3. Creative Calendars: Learning the days of the month and months of the year (as well as scheduling) are a part of any youngster’s education, and a chalkboard surface provides an opportunity to exercise this growing knowledge month after month. Draw a grid on a large chalkboard-painted surface in your kitchen area to replicate five, seven-day weeks, and have your child mark off the days of the week, then denote the calendar days of that month. They can identify holidays, too. A similar approach can be taken with holiday calendars, like an Advent calendar. 4. Message Center: When your little ones finally learn to answer the phone properly, it becomes important for them to be able to take a message. 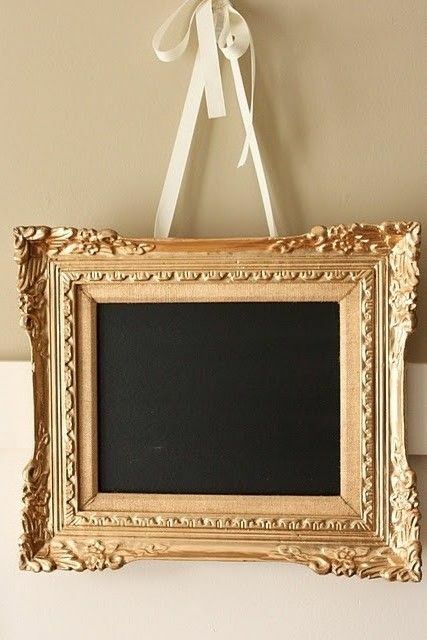 Create a small chalk-board with an 8-inch-by-12-inch piece of wood and chalkboard paint, and place it by the primary phone in your home. Tie a piece of chalk to the board so that it is there when you or members of your family need it. This will ensure that anyone in your home, from your youngster to your spouse, can take a message when necessary. Not only will this ensure that messages don’t fall through the cracks, but it will reinforce handwriting skills. 5. Phone List: You will surely want to teach your children how to use the phone in the case of an emergency. But given that they may not be able remember 911 or the numbers of friends and family, it is important to post them somewhere visible. An 8-inch-by-12-inch piece of wood and chalkboard paint will solve your problem. Once painted, frame the board with decorative molding and hang it by the phone. Your child will have the numbers he or she needs in the case of an emergency, and your babysitter will have emergency numbers at their disposal, too. When using chalkboard paint, there are a couple of things to remember to ensure that your efforts are successful. Make sure that the surface that you are using, whatever it may be, is very clean and smooth. Allow the chalkboard paint to dry fully. The professionals recommend giving it three full days. Once dry, rub chalk over the entire surface, and then erase it. If you are worried about coordinating the chalkboard color with your home’s decor, fear not; chalkboard paint now comes in a range of colors. You can avoid the traditional black that you are accustomed to in favor of something that suits your home’s interior paint colors and furniture. You should be able to find a variety of options at your local paint supply store. Keep in mind that chalkboards aren’t the only way to make surfaces in your home more fun. If you or members of your family are allergic to chalk dust, or maybe you just aren’t prepared for the mess that it may cause, you can utilize other surfaces to the same end. One option is whiteboard paint, which allows you to transform any smooth surface into a smooth, dry-erase board. You and your youngster can use water-soluble dry erase markers to draw, learn and be creative. Keep in mind that this is more expensive than chalkboard paint. If you’re looking for a less expensive and less permanent option, consider whiteboard paper. It is sold in rolls, and it can be easily applied and removed, without damaging paint, wallpaper, or other surfaces. What other fun ways have you found to incorporate chalkboard paint into your home? This post was written by Jay Harris, a Home Depot sales associate in the Chicago area, is a frequent contributor to the Home Depot website on paint and other home decor projects. Jay also provides tips to homeowners on how to match wall colors with lighting options. Which type of loan is easier to qualify for if I have a bad credit score. for receiving loans in ann easy manner. want. 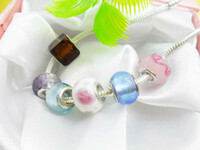 The lenders can choose the payment mode as well as tenure.